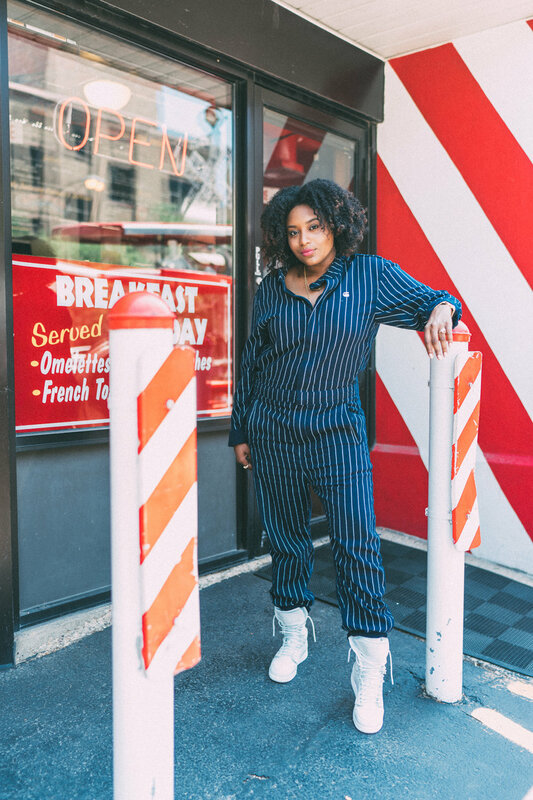 It’s been a while since I’ve done a SneakHer Tip on the site and today we’re going to be taking it back to one of my all time favorites style options: the jumpsuit. If you’re been following me on CNK or my personal Instagram account then you know I’m a fan of the one piece. And, while jumpsuits are our primary focus, the sneaks you decide to pair with you one-piece wonder is also muy importante. Got it? Let's get into it. CNK recently dropped our first editorial on how we’re transitioning our summer pieces into winter and I opted for this jumpsuit from G Star to wear for the shoot but also add as a staple in my wardrobe. Most jumpsuits you can transition from day to night and they come in an array of colors and materials. This one is navy with white pinstripes but, I definitely will be wearing it again maybe with some red pumps for a dressier option. But, around here we love our kicks (duh) so I've picked a few SNEAKHER options that'll pair perfect with your favorite jumper. Another aspect of buying pieces for me is 1, the price and 2, how many ways can I style it? Will I be tired of it within a month or two? or is this something worth investing in? The Nike Sportwear Jumpsuit that I copped last year is still being worn to this day even in the summer. I've been able to wear this piece multiple ways and through multiple seasons clearly! I've worn it full on and I've tied it around my waist to wear like pants, I've done it all. I can say it remains to be one of my favorite pieces in my closet. Last but not least let's talk about footwear! For the most part, I'm trying to be comfortable so I will opt for sneakers over heels anyday and when I do I want my sneakers to be simple UNLESS my jumpsuit is plain and I want the shoes to shine. 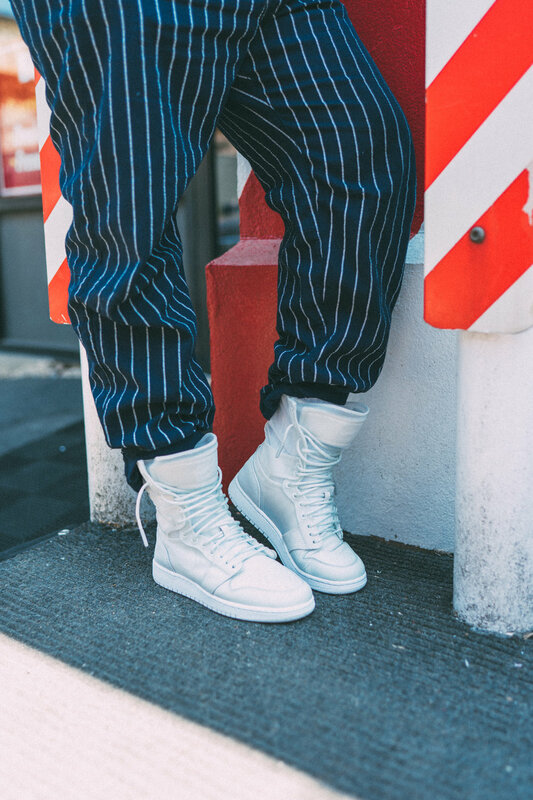 My favorites to pair with a jumpsuit are a pair of all white low top AF1's, all white Reebok Classic Leather and so on...white and black shoes are my wave when it comes to jumpsuits. Simplicity at it's finest.